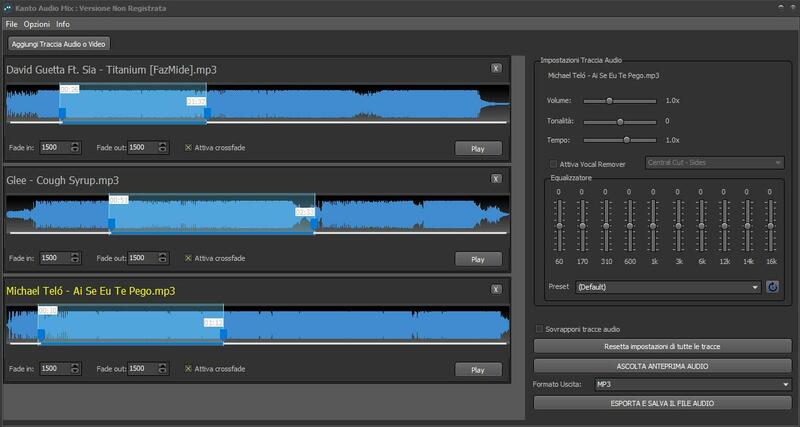 If you have an mp3 file that does not satisfy you in terms of its KEY (or PITCH), volume (too low or too high) or speed (tempo), you can use one of the following two software: Kanto Audio Mix or Kanto Audio Editor. Both of them are good solution to edit MP3 files and save a new mp3 file with the desired pitch, volume and speed. 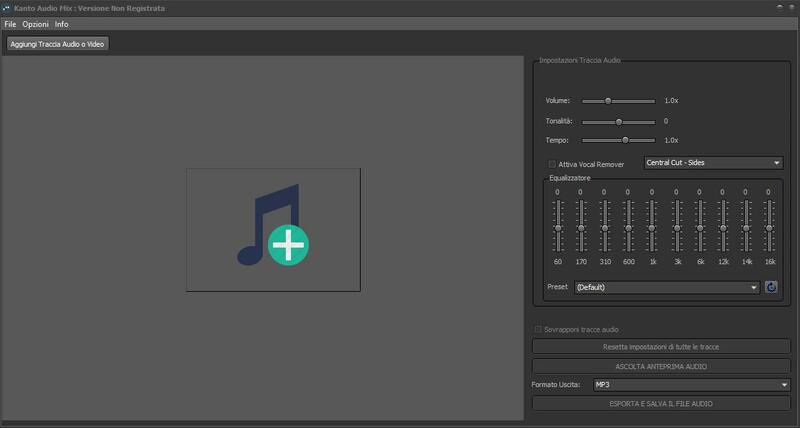 Kanto Audio Mix is a program developed and designed to convert, merge and even make basic changes to MP3 songs like speed, volume, pitch. 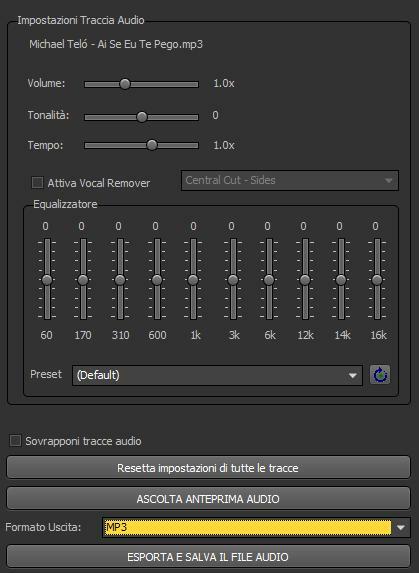 It also allows you to change the equalization of the mp3 (bass, mid, treble) to get better sound quality. 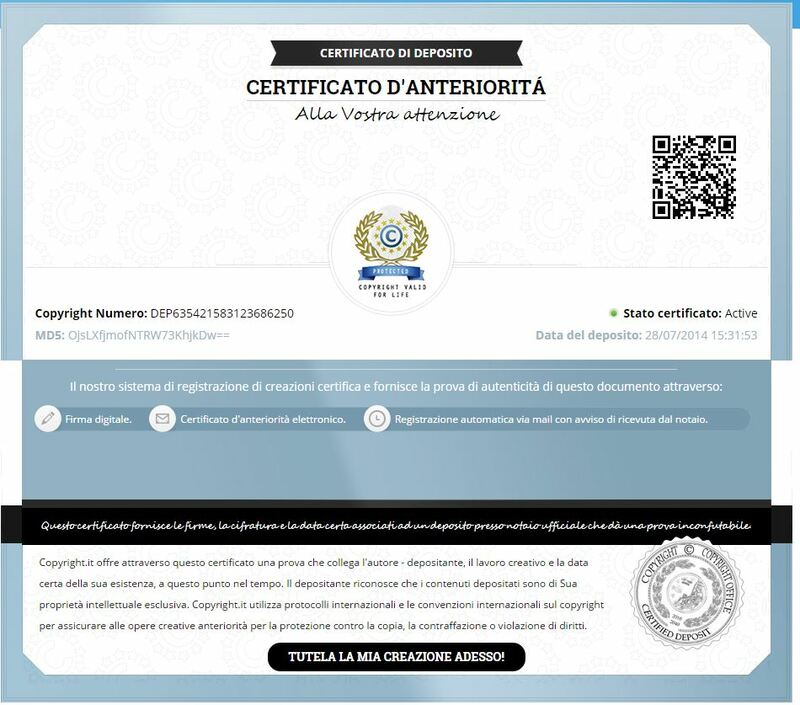 Here is the link from which to download the free trial version that as a limit only has the presence of a “sample voice” on the output file. Here are the steps to follow to change the pitch (tone), volume and tempo of an MP3. 2. 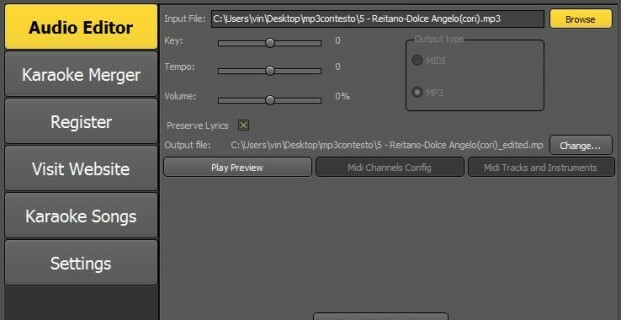 Click on the program’s interface to select and import the MP3 file to be edited. Once imported, you will see the waveform of the audio stream. 3. From the right of the program you can adjust the speed, volume and pitch of the song. Thanks to the “Play preview” button you can listen to the edited audio file before saving. 4. If everything is OK click on “Export and save audio files” to save the new MP3 song with the new key, volume and / or speed. 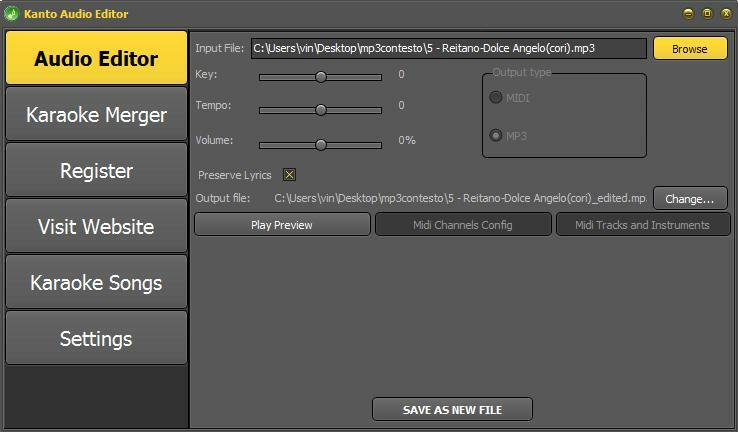 Kanto Audio Editor is very simple to use and its interface is very user-friendly. 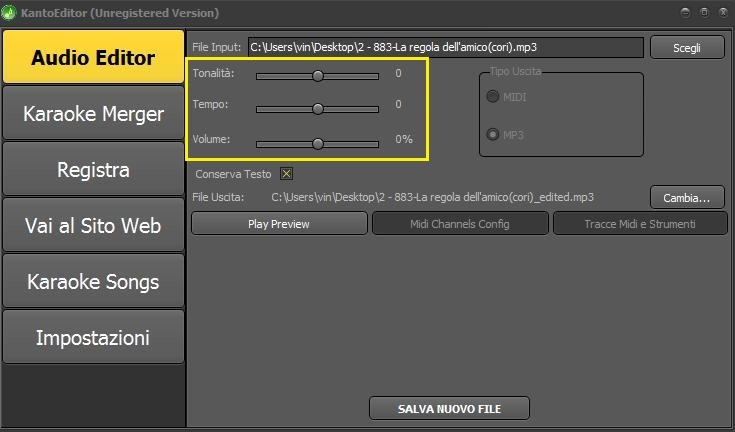 Here are the detailed steps to follow to edit your mp3 songs and change some audio parameters like KEY (pitch), VOLUME and SPEED (Tempo).The output audio quality will be the same of the source! Click on top right on BROWSE to select the mp3 file to edit. Click on top left to adjust the mp3 parameters like KEY/PITCH, TEMPO and VOLUME. After adjusting the mp3 parameters click on “PLAY PREVIEW” to hear the new audio file before saving it. Click on Change button to set a output folder (where the new mp3 file will be saved). Finally click on SAVE AS NEW FILE and Kanto Audio Editor will generate the new MP3 file with the new Key, Tempo and Volume you set.